Update May 17: I have noticed that since Mcafee bought them out the app has not functioned as well. Before Mcafee, it would smoothly connect in the background and the kill switch was visibly working - disconnecting the WiFi and then reconnecting once the VPN was active - now it allows my device to be connected to untrusted WiFi for long periods of time before the VPN kicks in. Is my data stream compromised at that point? Furthermore I have had a much more difficult time connecting to networks than I ever did before and have had to delete and reinstall the app a couple of times. This app worked flawlessly last year. Now, not so much. 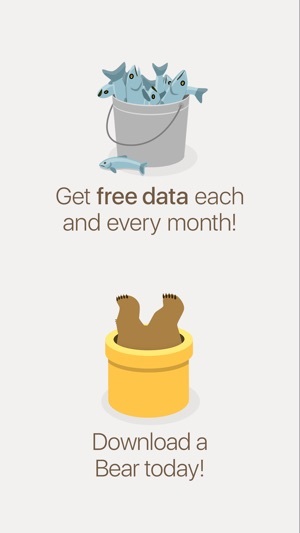 I used the free 500mb allotment for several months before buying a year long membership. 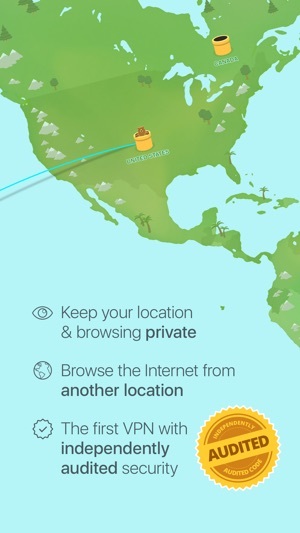 Very easy to use, lowest price I could find for a year long VPN, passes all the DNS leak and IP tests I could find and depending on which server I choose doesn’t slow down my connection much at all. I really like the kill switch, auto-connect and trusted network features. My only concern is the shortage of servers. Most other VPNs have dozens or even hundreds worldwide. In a practical sense though this hasn’t impacted me at all. The company responded to my concern within about 24 hours, very timely, especially over the weekend. They informed me that they were aware of the issue and a fix was already in place, pushed to an update: 2.7.1. I updated and voila! it appears to have been resolved. Thanks for your positive and timely response! Very happy with the performance of the app, as well as the ethics and care from this company so far. 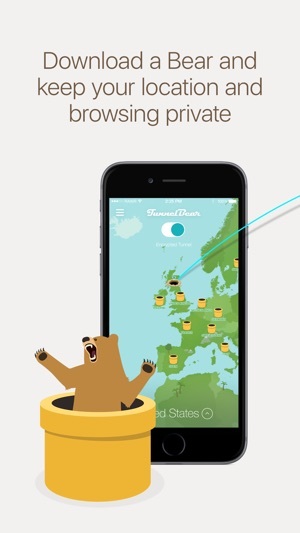 I absolutely love TunnelBear. After researching a ton of VPNs and their behaviors and perks, I decided upon TB. No logging. Excellent encryption. Auto connect. No speed loss that I’ve noticed. I only have one gripe with the latest update / move to iOS 11. The VPN never seems to auto connect anymore. 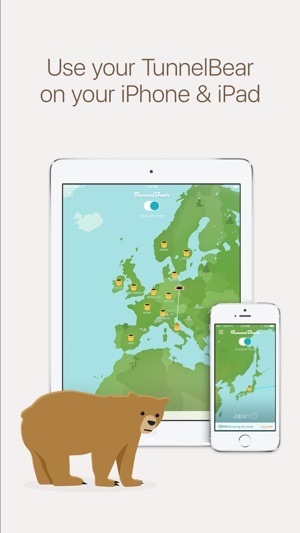 Every time either the device loses or sleeps the connection, or switches between cellular and WiFi, TunnelBear disconnects and never attempts to reconnect like it used to. Please fix this. It’s now incredibly frustrating to have to manually go to the app to reconnect to VPN every time this happens. And it happens way more often than I thought or ever noticed. Thanks. Our sincerest apologies. Unfortunately Apple doesn't allow us to view payment details on our end. We ask that you go through Apple first to find the proper email, otherwise you could run into potential subscription issues with Apple. Once you locate the proper email address however, please back in touch with support so they can assist further. Once again, we do apologize for any inconvenience.